Satisfaction in the purchase of a vehicle comes as a result of several factors. Paramount among those factors is the consumer’s ability to find the perfect fit for the demands of both their lifestyle and budget. While we at DePaula Chevy find great joy in being part of that process, we find that a large part of that process is often done before our customers set foot upon our dealership. It comes in the form of simple decisions, be it the decision to buy or lease, preference of vehicle make or model, but especially the determination whether to buy new or used. Years ago, the decision to purchase a used vehicle came with some degree of stigma. Often viewed as some sort of ‘consolation prize’ for those who couldn’t afford to purchase a new model year offering, used vehicles represented a subpar purchase. The stereotype was furthered by untrustworthy salesman pushing unreliable lemons, and countless examples of dissatisfied customers, as a result. Well, times have changed. Whether referred to as ‘used’ or ‘pre-owned’, such vehicles can prove to be more prudent investments. Combined with Certified Pre Owned programs, as offered by most every automaker, there are a wealth of reasons to consider buying used. We’ll get to the CPO programs in greater detail, but let’s look at some key points to help justify your decision to buy pre-owned. 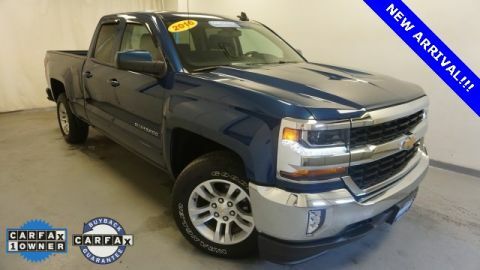 To qualify for GM Certified Pre-Owned status, a Chevy vehicle must (i) have been produced within the last five model years (ii) have been driven 75,000 miles or less, and (iii) possess an incident-free vehicle history report. This alone provides significant assurance that one might not expect from an average pre-owned vehicle, but there is far more to GM’s CPO program. Qualified vehicles are then subjected to a rigorous 172-point inspection, facilitated by GM-trained technicians. The inspection is intended to diagnose any issues within major components or operating systems that prevent the vehicle from meeting manufacture standards. Any such areas are then refurbished, repaired, or replaced (as needed) to meet those stringent requirements. As if such assurances weren’t enough, all GM Certified vehicles receive a Powertrain Limited Warranty lasting 6-Years / 100,000-Miles (whichever comes first) and a Bumper-to-Bumper Limited Warranty for 12-Months / 12,000-Miles (whichever comes first) both of which are transferable with a $0 deductible. Customers also receive a Scheduled Maintenance Program to ensure that the CPO vehicle continues to run under optimal conditions. Added perks include trial subscriptions to both OnStar and SiriusXM radio. And should a GM Certified customer decide (within 3-Days or 150-Miles) that their Chevy, Buick or GMC isn’t the perfect fit, they can exchange it for a vehicle that is. If there were any lingering concerns about buying a pre-owned vehicle, GM’s CPO program goes to great strides to quell them. While we talk about the savings of being pre-owned, some might argue that they’d be offset by the inevitability of vehicle repairs. This is just one of the many reasons why Certified Pre-Owned (CPO) programs have gained so much popularity. CPO programs provide customers with added assurances, backed by both the dealership and the automaker themselves. Not every pre-owned vehicle will qualify for CPO status, but those that do present an opportunity to buy pre-owned vehicles with utmost confidence. Not only are the vehicles subjected to painstaking inspection, they are sold with extended warranties (and often, a number of additional perks). But be warned, not all CPO programs are not created equal. 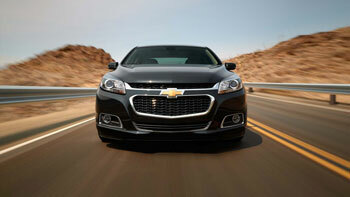 With that in mind, GM Certified stands out as one of the best CPO programs in today’s marketplace. Another important consideration when deciding to buy pre-owned is that vehicles are lasting longer than ever. As a combination of engineering improvement and improved diligence in the care and maintenance of those vehicles, it’s not unreasonable to expect one to reach well beyond 200,000 miles (with many putting even that number to shame). And remember, pre-owned vehicles cost less in regard to sales tax (when applicable) as well as registration and insurance costs. Since insurance is an incremental cost, this means savings throughout the life of the vehicle! First and foremost, purchase of a pre-owned vehicle allows you to get more vehicle for your money. How? It’s simple. When purchasing a new car, the first owner shoulders the bulk of that vehicle’s depreciation within the first years of ownership. Depreciation begins the moment that vehicle is driven off the dealer lot, with an estimated 11% drop in value taking effect by the time the rear tires touch the pavement. 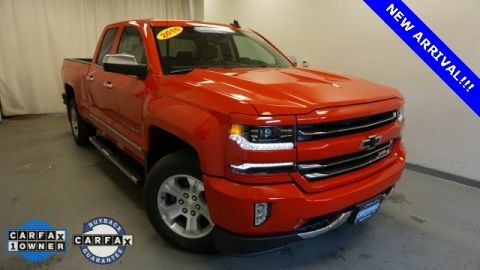 This means that a $30,000 vehicle could be valued at less than $27,000 if you were to pull a u-turn back on to the dealer lot and try to sell it. Fast forward to a year of ownership, and that vehicle will have decreased 25% in value from the original sales price. And depreciation continues, hitting up to a 46% decrease after three years, and up to 63% after five years. From there, depreciation begins to slow down. Come trade-in, this represents a declining return on the original owner’s investment, but it could empower the next owner to more easily afford a more expensive model or trim level. And with a slower depreciation rate from that point on, they are getting more car for their money. Don’t be fooled by a dealer’s use of the word ‘certified’. 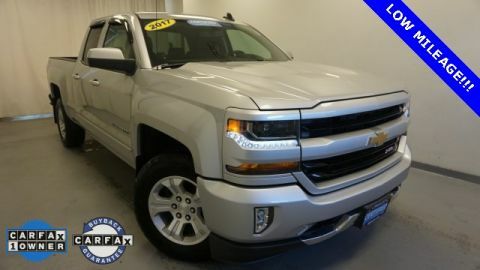 Not every dealership is authorized to offer GM-Certified vehicles, and our pride in being able to do so makes DePaula Chevy the perfect stop for anyone interested in buying pre-owned. Let us help you to explore our CPO inventory, and discuss the program to determine if its the best fit for you. After all, finding the perfect fit in your next vehicle is the most direct route to satisfaction.